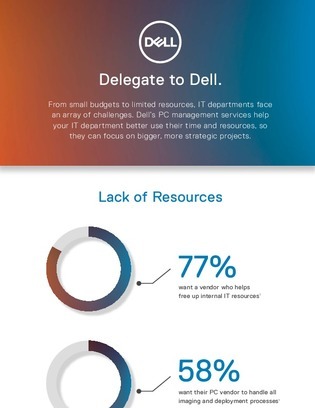 Is It Time to Delegate PC Management? Whether its shrinking budgets or a limited resource, today’s IT departments are under more pressure than ever to save time and money, but without compromising on service quality. In response, IT leaders are faced with a burning question: is it time to delegate remedial management tasks elsewhere? Inside, find out why IT departments just like yours are turning towards PC management services to save time, money, and ultimately allow their teams to focus on bigger, more strategic tasks at hand.